« Date with Paint – Paint Your Pet! 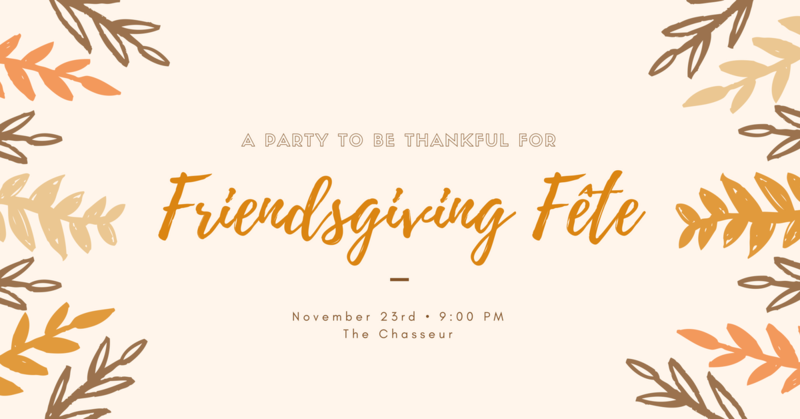 Join us as we party with friends, family & neighbors on Thanksgiving Eve! We’ll have plenty of tasty eats and drink specials for you so kick back and relax with us before your big day of thanks! Bring canned good items and be entered to win some great raffles! CLICK HERE TO FOLLOW OUR FACEBOOK EVENT TO STAY UP-TO-DATE ON THE LATEST DETAILS!